We’ve seen how social media runs with breaking news stories like a wave across the world. The days of journalists informing us of events hours after they happened are gone as even they turn to Twitter as stories unfold. Now various organisations are seeking to harness this modern take on people power to provide instant and accurate information. Real-time weather tracking using people to report the weather at their location isn’t new. But it has come into its own now that people have portable internet access. Now there are several mobile apps that allow people to report the weather as they see and feel it, to provide a wider, real-time picture. 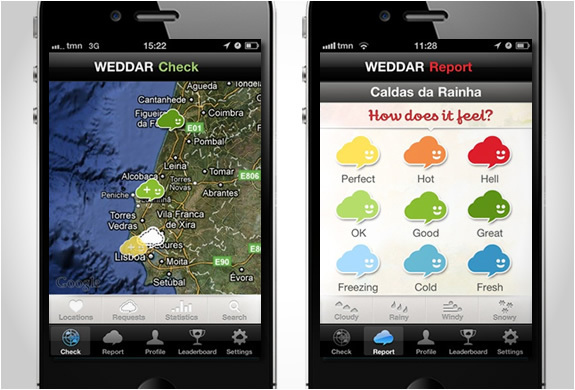 One of the most popular is Weddar, which ditches old fashioned weather bureau forecasts for personal descriptions that make a lot more sense. Taking this kind of thinking to a whole new level is an Australian website called FluTracking, an online health surveillance system to detect epidemics of influenza. As the site’s instruction says, it is “looking for people who live in Australia and have easy access to email on a weekly basis. It doesn’t matter if you are vaccinated or unvaccinated. It takes only 10 – 15 seconds per week to respond to an email about the symptoms you or your household members have had in the previous week. This will help us find ways to detect both seasonal influenza and hopefully pandemic influenza and other diseases so we can better protect the community from epidemics. This is a brilliant way to turn anecdotal evidence into an accurate reporting tool that could save lives. Not everyone who has the flu calls the doctor, or even knows they have it, but by reporting symptoms an accurate picture of the influenza spread can be charted potentially saving lives of those most vulnerable.